Child rearing - Religious aspects - Christianity. Child rearing - United States. Discipline of children - Religious aspects - Christianity. About Candace Backus (Author) : Candace Backus is a published author. A published credit of Candace Backus is Empowering Parents: How to Raise Obedient Children-It's Possible, It's Right. About William Backus (Author) : William Backus is a published author. 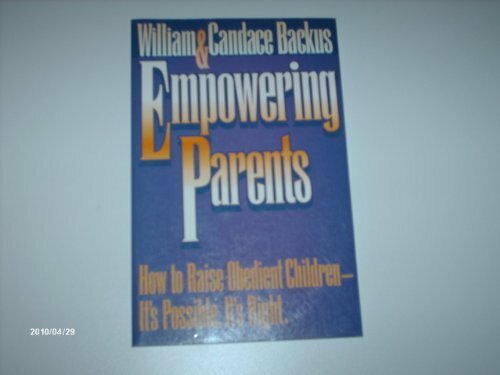 A published credit of William Backus is Empowering Parents: How to Raise Obedient Children-It's Possible, It's Right.